For the first time since Russia controversially annexed Crimea, a high-ranking delegation from the Norwegian Parliament will be traveling to Moscow next week for talks with their Russian counterparts. Themes will range from Arctic issues to the situation in Syria and human rights. 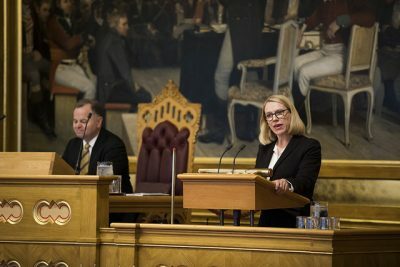 “We think it’s important to have contact with the national assembly in a neighbouring country,” said Anniken Huitfeldt of the Labour Party, who leads the Norwegian Parliament’s standing committee on foreign policy and defense. Their host will be the head of the Russian Federation’s own foreign relations committee, which visited Norway last summer. 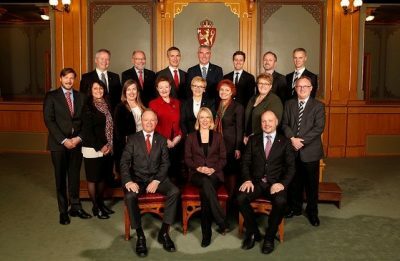 Newspaper Aftenposten reported that the Norwegians bound for Moscow include Huitfeldt and fellow MPs Øyvind Halleraker of the Conservative Party, Christian Tybring-Gjedde of the Progress Party, Trine Skei Grande of the Liberal Party and Bård Vegar Solhjell of the Socialist Left Party. It’s also the first time since Norway went along with economic sanctions against Russia in 2014 that such a high-level delegation will make an official trip to Moscow. Huitfeldt noted that top politicians from both Finland and Germany have been in Russia more often than Norway has, since the Norwegian government froze many political connections because of objections to Russia’s Crimean annexation and intervention in Urkaine. Norwegian and Russian officials have continued to cooperate on border control, fishing and environmental issues at a lower level, though, and Foreign Minister Børge Brende has occasionally met his Russian counterpart Sergey Lavrov. Fisheries Minister Per Sandberg also made a controversial trip to St Petersburg but contact otherwise has been minimal. Meanwhile the foreign ministers of other NATO members including the US, France, Germany and Italy have visited Russia, and NATO Secretary General Jens Stoltenberg has maintained high-level contact. Huitfeldt indicated it was time Norway does the same. “We stand firm in our criticism of Russia’s violation of the rule of law in Ukraine,” she told Aftenposten, “But at the same time it’s important to have dialogue.” She insisted the visit suggests “no change” in Norway’s positions. “This will be the third time I’ve visited Russia during this (four-year) parliamentary session but the first time to Moscow,” Huitfeldt said, adding that the visit is in response to the Russians’ visit to Oslo last year. It may be a sign, though, that the sanctions against Russia may be weakened, not least after US President Donald Trump has taken office. Trump has often indicated he wants better relations with Russia. “Given the signals from Trump and the disagreement (over the sanctions) we’ve seen among EU member nations, there’s reason to believe the sanctions will be partially or completely lifted,” Kate Hansen Bundt, secretary general of The Norwegian Atlantic Committee (Den Norske Atlanterhavskomité), told Aftenposten. “It’s important for Norway that the reasons for the sanctions are addressed, but at the same time we should follow the signals coming from the EU and NATO.